Win Tickets To The Magical Winter Funland! A sprinkle of magic and whole load of festive cheer is coming to Event City at the Trafford Centre this winter with the UK's largest indoor theme park! 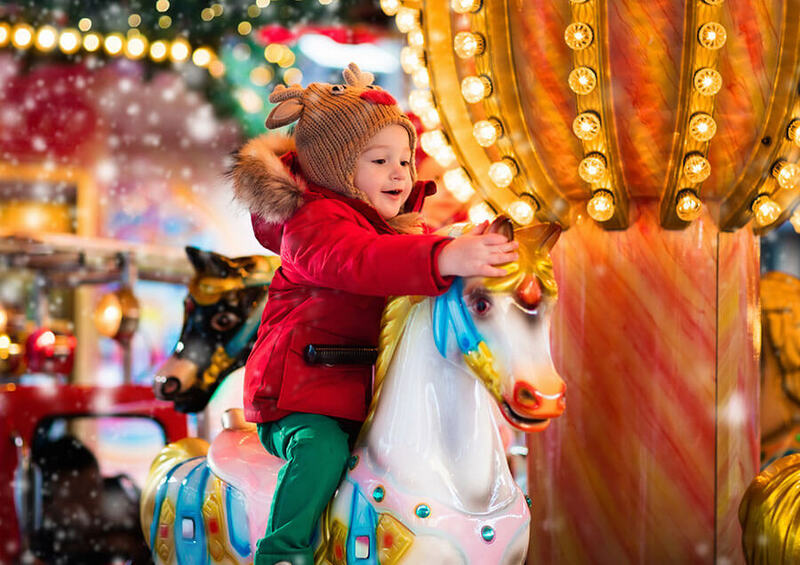 Winter Funland is a festive extravaganza for all the family, bringing together a fantastic sparkling line up of rides, entertainment and seasonal fun. Opening on 7th December, there'll be two sessions every day with incredible fairground attractions, ice-trail, grotto and live reindeer, plus a new 1,000 seater auditorium with live shows including performances from kid's TV mega star Andy Day and his Odd Socks Band. You can visit Santa, have a go at ice skating, check out the exciting circus and indulge in your favourite festive food and drink. Make sure you book early to guarantee tickets. Kids under 3 are FREE, and all rides, shows and attractions are included in the ticket cost. Plus, don't worry about parking as there's 3,000 free parking spaces on site. It's a truly magical experience for young and old, so make sure to take your loved ones for a Christmas experience they will never forget. Win A Family Ticket & £500! You could be off to Winter Funland on us as we have a family ticket for four to be won, PLUS £500 so you can make a festive break of it. *Entrants must be 18 or over. Entry is restricted to one entry per person. Tickets are for four people of any age. Under 3s go free. Winner will need to collect tickets from the venue on their chosen date. Dates are subject to availability. Collect as many presents from Santa's Stash as you can before the time runs out. Thanks for visiting but unfortunately this competition is now closed. You can see some of the other competitions that other people are entering by visiting the Heart website. Unfortunately the browser that you are using is unable to run this game. We're sorry that this is the case, if possible please use a more recent browser to play the game.